See also "Safety and the Lizard Brain"
Our brain has different components and areas that assist us with different aspects of our functioning. The aspect of the brain referred to as Lizard Brain is the primitive brain or brain stem, and the Emotional or Limbic system which includes the Amygdala. 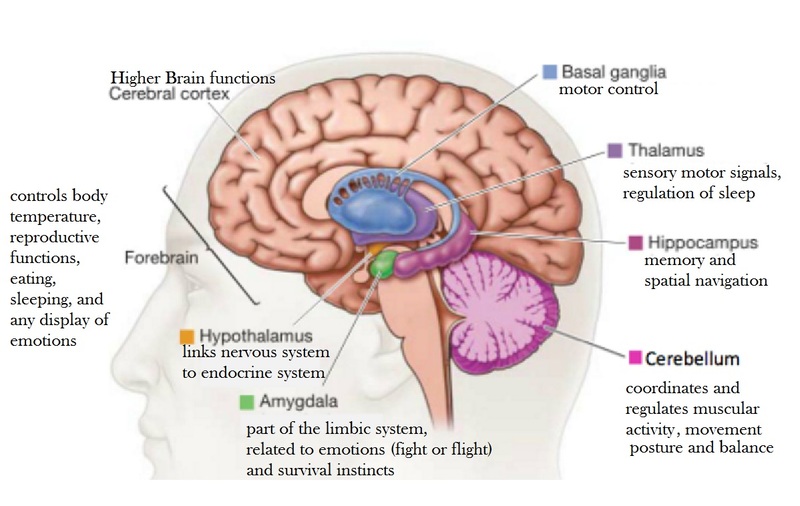 The Amygdala is like the police officer of the brain that helps us scan for threat. When we are in Lizard Brain it's also contagious. When someone is in fight or flight, our response is often to join them. If you see birds on a wire, and one of them is startled, they don't have a conversation about it. If one of them flies off, they all flight off simultaneously. It is an advance skill for us to be able to respond to fight or flight and stay calm. When the Amygdala alerts the frontal cortex to disengage, this is so that we can react quickly and instinctively to threats, and possibly release the adrenaline for fight or flight that is necessary in those instances. And this process can take 2-20 seconds, it's very quick. And when the frontal cortex is disengaged, we no longer have access to the executive functions, which include problem solving, compromising, being diplomatic, remembering relationship, social skills, analysis, filters, etc. It takes a minimum of 20 minutes, if not longer for the frontal cortex to be reengaged. And this is why we say things we don't mean. This is indeed a very informative research on the brain, I never knew about this before, though it’s good to learn about it. Thanks for sharing.